A unique blend of polymers and ground tire rubber makes BULLCRETE tougher, stronger and more flexible than blacktop. 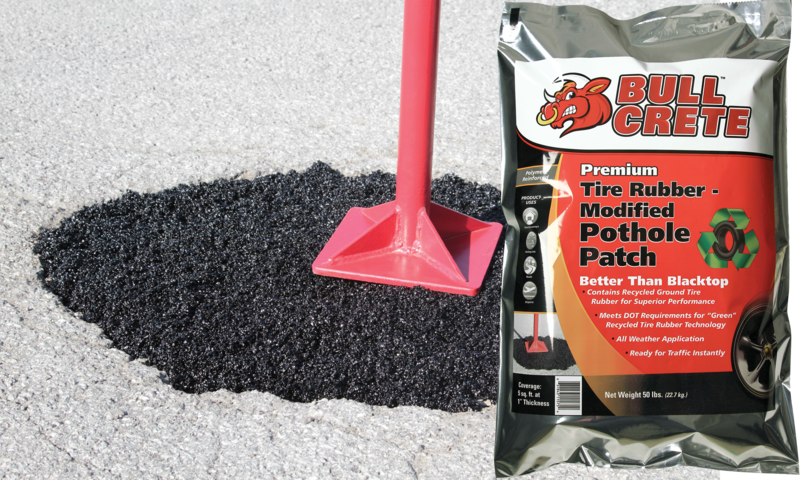 BULLCRETE Tire Rubber – Modified Pothole Patch is an all-weather high performance pothole patch that forms a permanent repair for potholes, large cracks, utility cuts and more. it can be used in both wet and dry conditions. It’s rapid-setting formula makes it ready for traffic instantly.